Fionnuala Kelly and Ciara Latimer examine the current process of establishing mental health intellectual disability teams in Ireland. In relation to adults and children with an Intellectual Disability (ID), A Vision for Change clearly states that there should be specialised mental health services dedicated to the needs of people with Intellectual Disabilities across the whole country. In conjunction, Ireland signed up to the United Nations (UN) Convention on the “Rights of Persons with Disabilities” (CRPD) in 2007, and this affirms that all persons with a disability must enjoy the same fundamental human rights and basic freedoms as do those without a disability. Achieving health equity for people with ID includes provision of better mental health services which recognise the changing face of mental health and disability services in Ireland. What is the current picture of mental health services for people with an ID? Currently however, it is widely recognised that there is a national shortage of experience and expertise specialising in the mental health needs of people with an ID, and that there is a deficit of specialist mental health teams and services across the country. Historically, specialist ID mental health services have been, and are being, provided by many of our national section 38/39 Voluntary Agencies as part of their Disability services, and in 2013 the HSE’s Mental Health Division invested additional funding and resources in building up its own Mental Health for Intellectual Disability (MHID) teams. However, what has arisen is that there are sections of the country that do have access to these services, but significantly there are large sections that either have none or limited access to services that meet their specific mental health needs. On a national basis therefore, people with an ID are not experiencing the levels of care and support that they or their family members need. What is the level of mental ill health for people with an ID? In the past, there was an assumption that if you have an ID, you are unlikely to develop any mental health problems such as depression or anxiety. We now know from extensive research that people with ID actually experience mental ill health at a rate which far exceeds that of the general population. If a person has an ID they are at least two to three times more likely to have a mental health problem than the general population, with 4 in every 10 people with ID experiencing a mental illness in their lifetime. This vulnerability to mental disorder is complex, and arises from interplay between the intellectual disability and other medical, social and psychological factors. In 2017, the HSE’s Mental Health Division committed in its operational plans to develop MHID services across the country and initiated the “National MHID Service Development Programme,” as part of its strategic Service Improvement programme of development. The aim of the programme is to work in close partnership with our colleagues in Social Care and the Voluntary Agencies, to pool resources and provide a unified approach to developing a national network of specialist, multi-disciplinary, community based MHID teams for adults and children with equitable and clear access across Ireland. 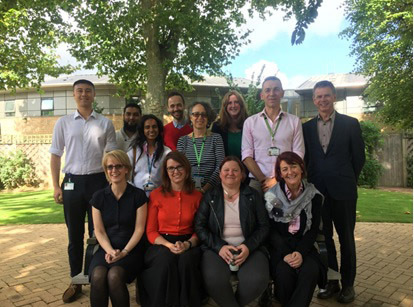 These teams will provide mental health services to people with moderate to severe ID, and will work together with their colleagues in other mental health and disability services, to provide a nationally-agreed quality of care programme. What specifically is being worked on? Clear governance – working with voluntary agencies and local HSE management structures to ensure that the governance of MHID services and their requirements are clearly detailed and adhered to. Who is involved with this work? External Quality Assurance – working with colleagues in Community Learning Disability Services (CLDS) in Tower Hamlets, London, to research best practice and to provide an external input and review of the work. What does all this mean for Service Users and their Families? MHID teams creating local awareness of mental health and ID, including prevention, early intervention and how to crisis manage. Interested and would like to have your say? Ciara Latimer (HSE Mental Health Division) at ciara.latimer@hse.ie / 087 0515580. Ciara Latimer is the HSE’s Mental Health Division’s National MHID Service Development Programme Manager. Dr Fionnuala Kelly is the HSE’s MHID Clinical Lead.